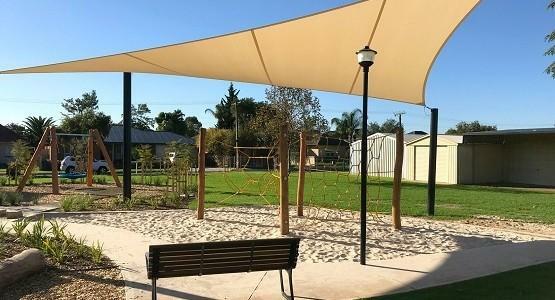 By designing and constructing outdoor shade structures, from the ground up, you can be rest assured that you get the best possible result. Shadeform’s huge range of products allow you to select the right solution for your home. Pick from a range of high quality products, outlined below. 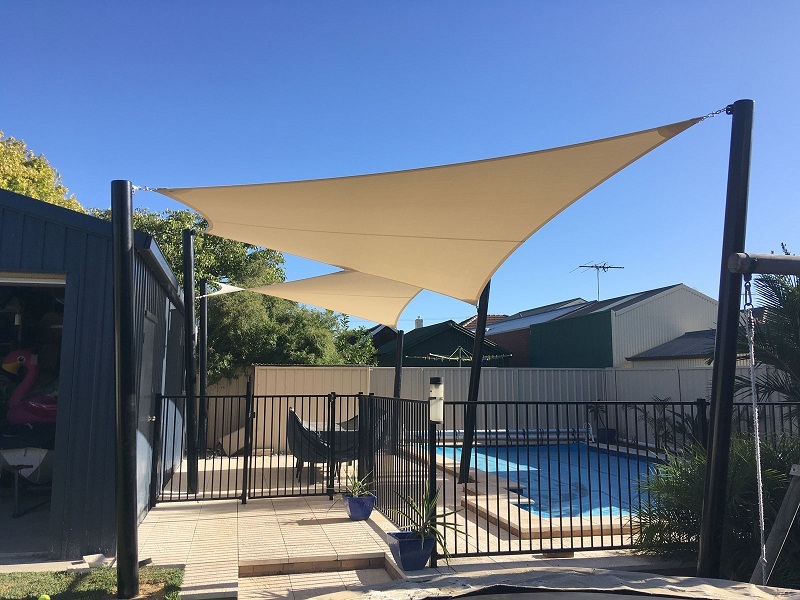 Shade Sails are perfect for residential applications. They provide high levels of UV protection while also being visually appealing. 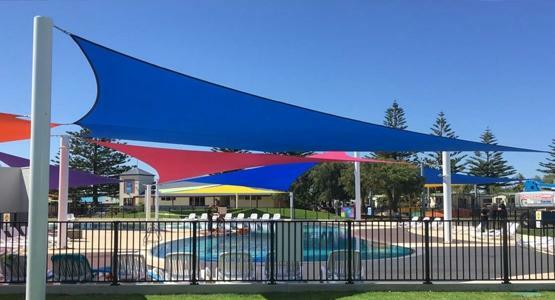 Through the use of textiles and stainless steel, shade sails offer unique aesthetics not found in conventional building structures. The best of both form and function! If your home calls for more vertical protection, perhaps you may need to include External Blinds in your home. 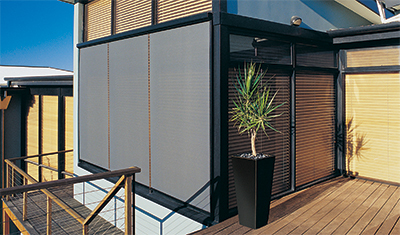 Blockout or blackout blinds, cafe blinds, and patio blinds, all these products are available from Shadeform, as a part of the Issey product range. 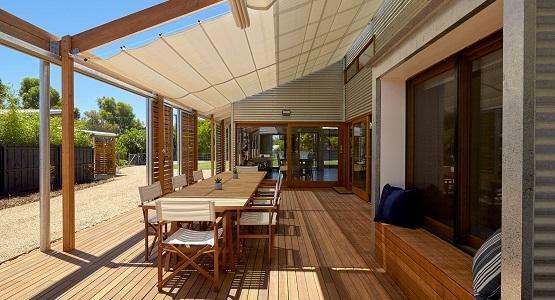 Issey are an Australian company based in Perth, that have premium External Blinds and Screens. 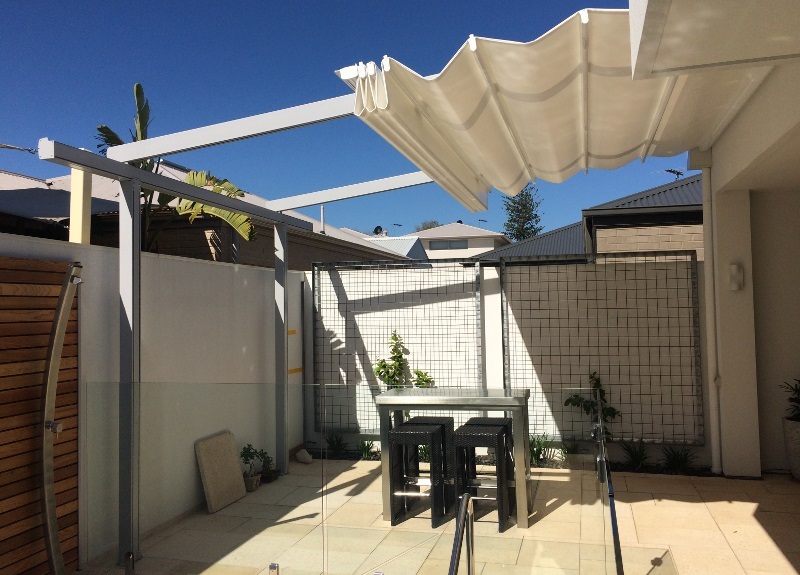 Folding Arm Awnings are a great option if you want sleek and stylish retractable shade, with minimal form factor. A manual crank arm or wireless motor are used to extend and retract the awning. You can chose from acrylic canvas or polyester mesh fabric - in a range of colours. 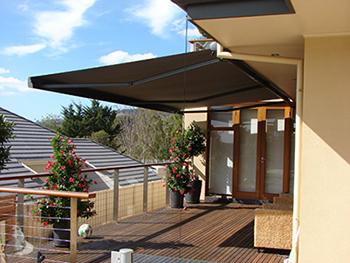 Do away with steel posts or frames by using a retractable folding arm awning. Being cantilevered, there is no need for any support structure other than fixings for the fully enclosed headbox. 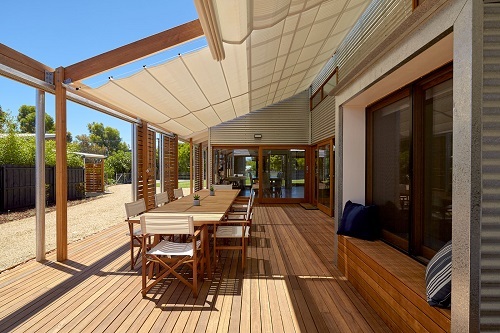 Shadeform’s very own Shaderunner® is an affordable 'retractable' shade option. Sliding in and out on guide wires, using a simple rope and pulley operation, this gives you sun protection on demand. Waterproof options are available. 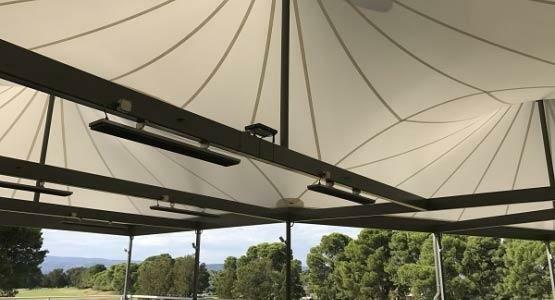 Half the cost of comparable systems (retractable roofs and vergolas), the Shaderunner® is one of the most economical and versatile retractables on the market today. 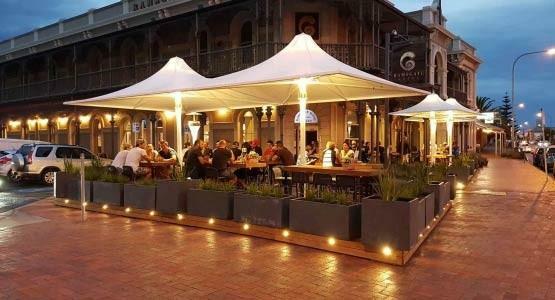 Umbrellas can be used to form a fantastic outdoor canopy. 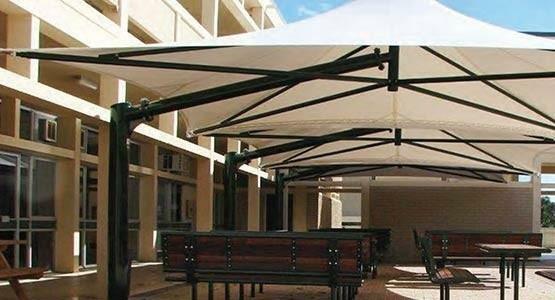 Offering their own unique style - there are many benefits for using these waterproof PVC fabric cone structures. 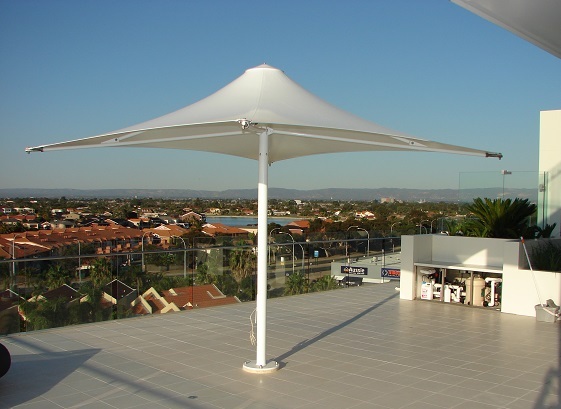 The Flexshade® (Australian) range of Outdoor Umbrellas are permanent fixtures that require very little maintenance. 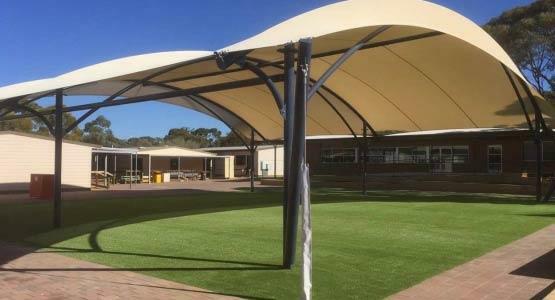 A set and forget solution, these outdoor canopies make use of massive pad footings and special chemical anchors, ensuing they stand the test of time. If you are after the best in all-weather protection, 100% waterproof, retractable, and able to form completely enclosed areas; then look no further than a Retractable Roof System. 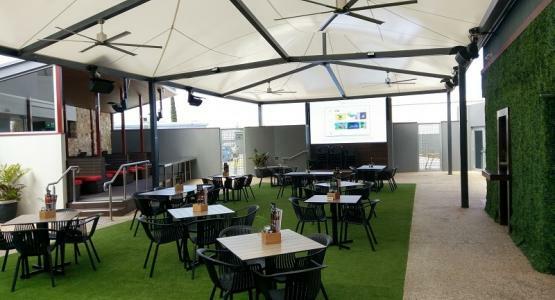 High levels of sun and rain protection, combined with the versatility of a wireless remote operation, the Retractable Roof System is simply unmatched in features.Using a flexible PVC fabric that neatly folds away, a Retractable Roof is the apex of outdoor canopy solutions! Shadeform offer a free measure and quote, where we can come out onsite and give a professional recommendation for what type of solution you require.Contact us to develop a custom solution for your home today. 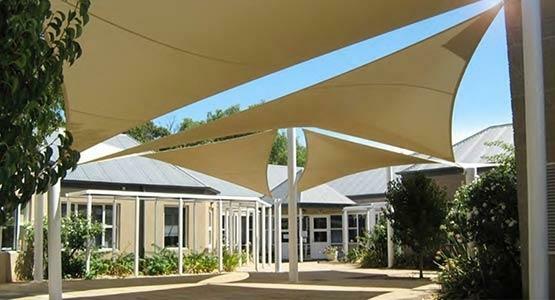 Call Shadeform today to discuss awnings, blinds, and shade sails - 08 8354 2116. Our local South Australian business is proud to be entirely family owned and operated. 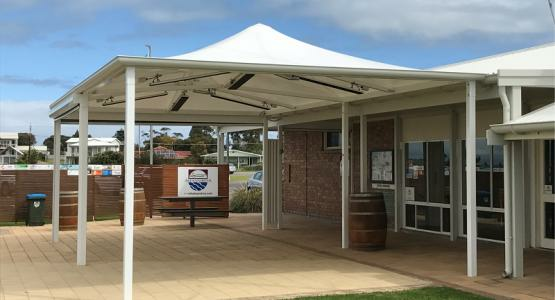 At our modern premises in Flinders Park, we have invested in the latest hi-tech computer-aided sail cutting equipment to ensure quality and accuracy. Combined with the skill of our experienced team we can create a range of dynamic shapes while maintaining the highest levels of product integrity and quality finish. With more than 30 years of sailmaking experience you can be confident that we will supply a premium product.